ECA’s key findings of the study “Methodologies and parameters used to determine the allowed or target revenue of transmission system operators” undertaken for the Agency for the Cooperation of Energy Regulators (ACER). 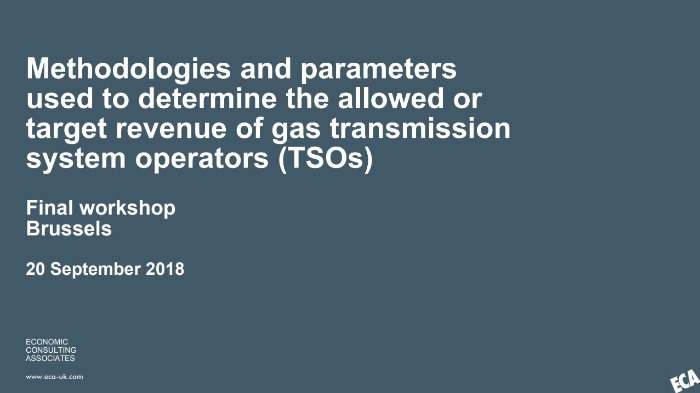 The objective of the study: to document and contrast the methodologies used by regulatory authorities across the EU in determining and setting the allowed or target revenues of gas transmission companies. Presented at a workshop to stakeholders in Brussels, in September 2018. 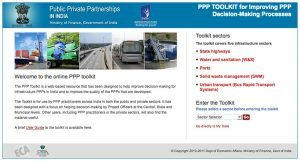 The Toolkit was specifically designed to improve PPP decision making by users at Central, State and municipal government levels across India. It was officially launched in New Delhi by India’s Minister of Finance. Additionally, at the heart of the Toolkit is a set of interactive decision making tools developed by ECA.